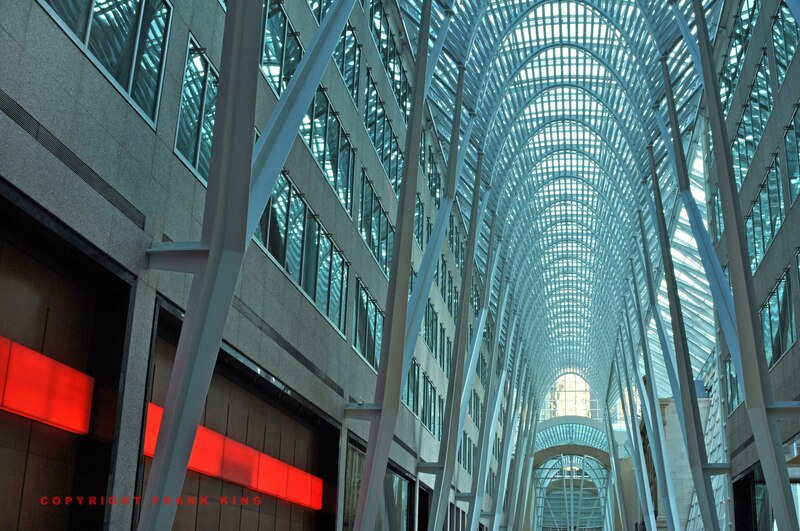 This is one of the most photographed architectural designs in Toronto and, as you can tell, it’s easy to see why. I had my own shot at it and managed to make several compositions with a tripod (definitely useful, given I was doing exposures of at least a full second) before a security nazi made me put the tripod away. I left the building then and found some good compositions outside. Nikon D90, tripod. I like this Frank. Great use of geometry. I love how the red line points leads to eye to the same point as the arches. Well done! I like how the bright bold beam of red offsets the cool blue delicateness of the rest of the frame. Nice!